Elisabeth Wilkins Lombardo's friends edit the manuscript and work with a publisher to get 'The Afterlife of Kenzaburo Tsuruda' to print. 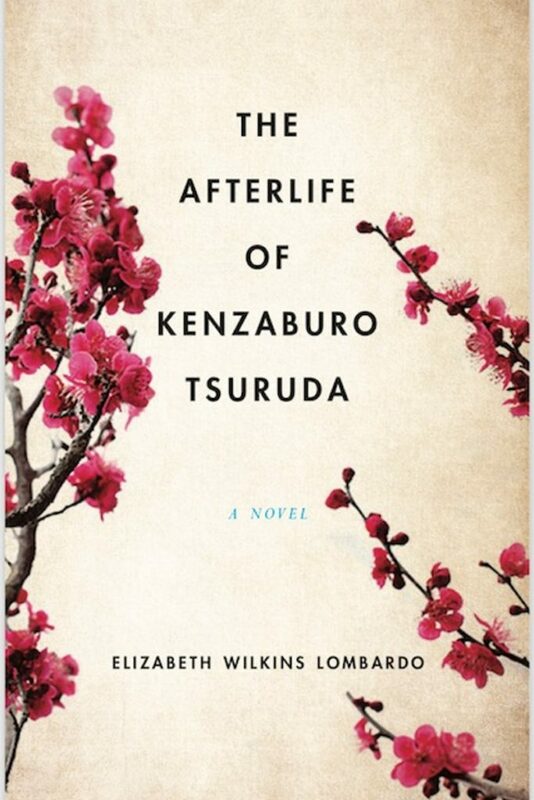 Elisabeth Wilkins Lombardo died without ever holding or reading a page from her printed novel, “The Afterlife of Kenzaburo Tsuruda,” a book about an atheist Japanese scientist who, upon his death, stumbles through a spiritual afterlife he never believed in. She wrote it over the last decade of her life, and as she lay dying, her husband and a group of her writing friends promised they would shepherd her manuscript through the editing process and see it to publication. Friends and family of the late writer Elisabeth Wilkins Lombardo celebrate her debut novel, “The Afterlife of Kenzaburo Tsuruda,” at 7 p.m. Tuesday at Print: A Bookstore, 273 Congress St., Portland, and at 9 p.m. Nov. 5 at LFK, 188 State St., Portland. On Tuesday, at Print: A Bookstore in Portland, Lombardo’s family and friends will gather to celebrate the book’s publication and toast its author. Lombardo – her friends called her Beth – was diagnosed with colon cancer in 2014, not long after she completed the manuscript. 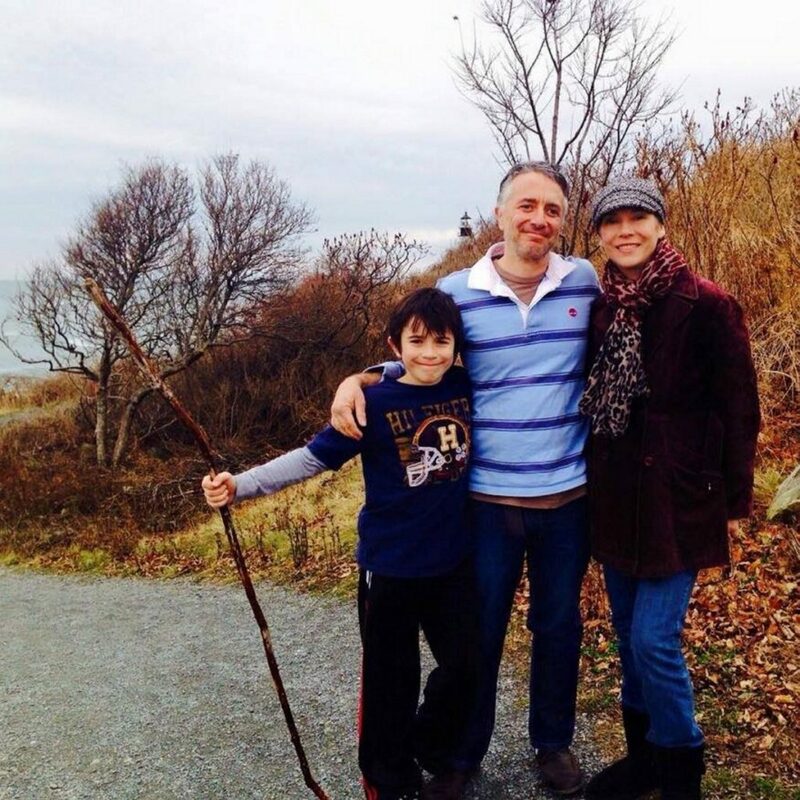 She died in July 2015 at age 47, leaving behind her husband, Joe, their son, Alessandro, now 15, and a group of friends scattered throughout Maine and as far away as Japan. Her husband and son live in Cape Elizabeth. Lombardo’s agent tried to find a publisher for the book, but couldn’t. Taking up Lombardo’s quest to see the book in print, a core group of her friends took on the cause. They debated going the self-publishing route, and ultimately worked with She Writes Press, which specializes in books by women writers. She Writes Press is a hybrid of self-publishing and traditional book publishing. A team of editors vets manuscripts, and writers pay upfront to publish the book, if the press accepts it. In return, She Writes Press provides national distribution and pays a higher royalty than traditional publishers. Humphrey called this “a legacy project.” It’s not about making money, she said. It’s about honoring the wishes of a friend and bringing attention to a worthy manuscript. Lombardo’s novel is about the thin veil between life and death, telling a story about a Japanese family, both living and dead. It spans the time between the end of World War II and the death of Emperor Hirohito in 1989, and incorporates historical fiction, Japanese culture, spirituality and mystery. 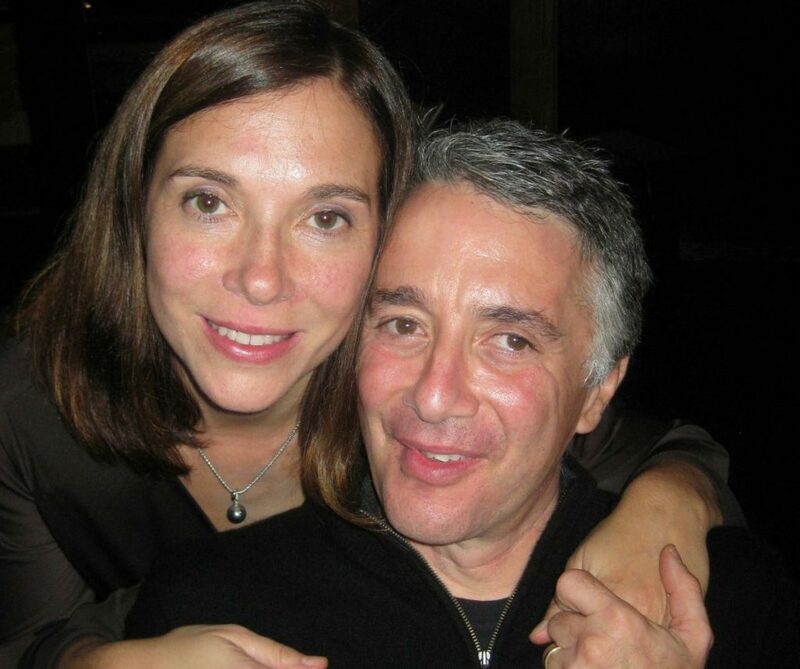 Joe Lombardo said his wife began thinking about the book when the couple lived in Japan, where they met as expatriates in 1992 and married a year later. They were walking together at a temple in Nara when she mentioned that she wanted to write a spiritual novel from the perspective of someone who had recently died. In Japan, Lombardo was an unlikely print and TV advertising celebrity-model, a woman from the American Midwest – she grew up in Illinois – dressed in a kimono and pitching tea, candy and Jolly Madame Baked Pudding, and she was the Jolly Madame. She also hosted a radio show and a children’s TV program, and her voice welcomed passengers on the train that carried them to the terminal at Kansai Airport. They moved to Maine in 2000, and she enrolled in the inaugural class of the University of Southern Maine’s Stonecoast master of fine arts in creative writing program, graduating in December 2004. She wrote the first draft of her novel as part of her thesis and won a PEN/New England Discovery Award based on the promise of her manuscript. Strempek Shea was one of her Stonecoast teachers and a mentor. She liked the book from its manuscript phase to its finished, published state and coached Lombardo closely each step along the way. In addition to liking Lombardo’s writing, she also appreciated how hard Lombardo worked to grow as a writer. Alessandro, Joe and Elisabeth Wilkins Lombardo. Joe Lombardo said his wife worked on the manuscript for a solid decade, from before she graduated until just before she died. Because she never gave up, neither did her friends. After Lombardo died, they divided duties and began working to ensure her manuscript would be available for people to read. Strempek Shea and another writing mentor, Ann Hood, were early champions of the project. Author Morgan Callan Rogers, a Stonecoast classmate and member of Lombardo’s care team, was an early reader and editor. Writers and friends Jaed Coffin, Cathy Kidman, Lisa Takeuchi Cullin, Elizabeth Searle, Lewis Robinson, Colleen Hart and Brooke Williams all pitched in. After they wrote their friend’s obituary, they began editing her manuscript, tightening, trimming and working with the publisher on final edits. They called themselves the Literary Fight Club, vowing always to go to bat for their friend and honor her memory by forever preserving her voice. “If I ever need to hear Beth’s voice, I can open the book and read her words. The way she wrote is the way she spoke. There’s a sense she is narrating it, and that is comforting,” Humphrey said. “She had a storyteller’s voice, and it was gentle and romantic and fierce. It was all kinds of everything rolled up into this quiet, lovely woman’s imagination and just rolled out onto the paper like a beautiful scroll. Just gorgeous,” she said. Tuesday’s launch party at Print begins the celebration of Lombardo’s book and the culmination of her decade-long writing project. Word Portland plans to host a reading at 9 p.m. Nov. 5 at LFK in Portland, and Stonecoast will present a seminar on Lombardo’s work and posthumous publication in January. Joe Lombardo is pleased and knows his wife would be, too – and certainly is, in whatever afterlife she’s living.